The invasion of Normandy was one of the most important events in the 20th century. 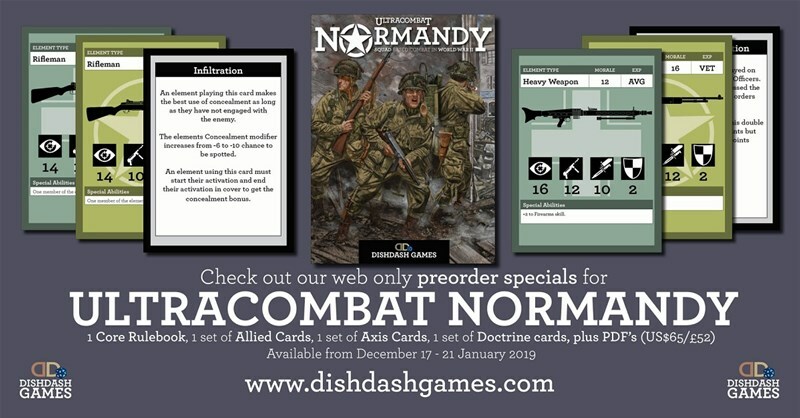 Soon, you'll be able to recreate those pivotal days on your tabletops with Ultracombat Normandy. Dishdash Games is bringing you a new set of miniatures game rules, and you can get the hardcover book, as well as three decks of cards for one special price.